NEW DELHI (AP) — India's security forces on Thursday killed at least 10 Maoist rebels during an attack on their training camp in a forested area in central India, police said. Police retrieved 12 rifles from those killed, Gang said, adding that security forces did not suffer any casualties in the attack on the camp close to a river bank. BEIJING (AP) — China has come a long way since the founding of its space program in 1956. Shortly after the former Soviet Union launched Sputnik, Chairman Mao Zedong declared that China too should have an artificial satellite to keep up with the great powers. Now, being recognized as a galactic pioneer is once again part of China's national ambitions. "The space dream is part of the dream to make China stronger," President Xi Jinping said shortly after taking office in 2013. President Tsai Ing-wen's remarks come after major gains by a Beijing-friendly opposition party in local elections in late November. JINAN, China (AP) — Cui Haoxin is too young to remember the days of his people's oppression under Mao Zedong. BEIJING (AP) — A bishop who has resisted demands to join China's Communist Party-controlled church body has been taken into custody, a Catholic news service reported, despite recent moves by Beijing and the Holy See toward reconciliation. BEIJING (AP) — A city in southwestern China has banned dog walking during the daytime and banished the pets entirely from parks, shopping centers, sports facilities and other public spaces. VLADIVOSTOK, Russia (AP) — Russian President Vladimir Putin has treated Chinese President Xi Jinping to Russian pancakes in a show of warm personal ties between the two leaders. PATNA, India (AP) — Security forces killed eight Maoist insurgents, including four women, in an exchange of gunfire early Thursday in their stronghold in central India, a police officer said. The two-hour gunbattle took place in a forest in Bijapur district in Chhattisgarh state after security forces encircled the rebel hideout, police officer D.M. Awasthy said. Security forces found the bodies of eight rebels and some rifles and bullet magazines, Awasthy said. PATNA, India (AP) — Maoist rebels in eastern India ambushed a unit of government forces on Sunday, leaving two soldiers dead and another wounded, police said. The rebels attacked paramilitary soldiers after they were returning from a counterinsurgency operation in a forested area in the Kanker district of Chhattisgarh state, said police officer K.L. Dhruve. MOSCOW (AP) — Just a month after beginning his new term in office, Russian President Vladimir Putin is heading to China for a state visit, underscoring how mounting U.S. pressure is drawing the two countries increasingly close. BEIJING (AP) — Chinese President Xi Jinping called for stepped-up cooperation with India during an informal summit Friday with Prime Minister Narendra Modi, amid tensions along their contested border and a rivalry for influence with their smaller neighbors that could determine dominance in Asia. NEW DELHI (AP) — At least 37 Maoist rebels were killed in two gunbattles between troops and insurgents in western India over the last three days, police said Tuesday. Prashant Diwate, a police officer in Maharashtra state's Gadchiroli area, said six rebels were killed overnight, and troops also recovered about 15 bodies of rebels killed in an earlier gunbattle on Sunday. NEW YORK (AP) — Fifty years ago Monday, Columbia University students angry about racism and the Vietnam War began a rebellion that fed a sense the country was in turmoil. Starting at noon on April 23, 1968, student militants occupied Hamilton Hall, the main classroom building, and took a dean hostage for 24 hours. They stormed into the office of the university's president, ransacked files and smoked his cigars. NEW DELHI (AP) — Government forces killed at least 14 Maoist rebels during a raid on their hideout Sunday in a forested area in western India, police said. The fighting began after police commandos raided the rebels' hideout deep in a forested area in Gadchilori district in Maharashtra state, said police officer Prashant Diwate. Diwate said exchange of gunfire between the rebels and troops lasted about half an hour. He said police were searching the area for more possible bodies. BEIJING (AP) — Come to any event at the Great Hall of the People in the heart of Beijing, and you're bound to see red. As the hulking venue for official pomp and ceremony hosts the annual meeting of China's rubber-stamp parliament this month, flags of scarlet line the building's rooftops, red carpets cover its floors and hostesses in long ruby-colored dresses welcome dark-suited delegates. BEIJING (AP) — China's ceremonial legislature appointed Premier Li Keqiang, the No. 2 leader of the ruling Communist Party, to a second five-year term Sunday and approved the appointment of a director for a new anti-corruption agency with sweeping powers. BEIJING (AP) — China is set to give President Xi Jinping a powerful new weapon as he prepares to rule indefinitely — a Communist Party-led anti-corruption agency to police not only the party's cadres, but also doctors, teachers, entertainers and other state employees. The move is part of a sweeping government reorganization to boost the authority of the party headed by Xi, who has firmly established himself as China's most formidable leader since Mao Zedong. President Xi Jinping, poised to rule over China indefinitely, is at the center of the Communist Party's most colorful efforts to build a cult of personality since the death of People's Republic founder Mao Zedong in 1976. Xi's image dominates the front pages of state newspapers, hours of state television broadcasts, magazine covers, posters sold at markets, billboards around parks and signs posted along sidewalks. China's rubber-stamp lawmakers have passed a historic constitutional amendment that abolishes term limits and will enable President Xi Jinping to rule indefinitely. The National People's Congress' nearly 3,000 hand-picked delegates endorsed the constitutional amendment Sunday, voting 2,958 in favor with two opposed, three abstaining and one vote invalidated. BEIJING (AP) — The day China's ruling Communist Party unveiled a proposal to allow President Xi Jinping to rule indefinitely as Mao Zedong did a generation ago, Ma Bo was so shaken he couldn't sleep. BEIJING (AP) — The annual conclave of China's National People's Congress in Beijing's cavernous Great Hall of the People is a highly scripted affair, designed to showcase the Communist Party's governance of China to the world. BEIJING (AP) — The prospect of Chinese President Xi Jinping ruling indefinitely is dominating discussion as China's legislature opens its annual session Monday. The constitutional amendment to the two-term limit on the president underscores Xi's standing as China's most dominant political figure in decades. Last week, Chinese President Xi Jinping joined the planet's most exclusive club. It is not for the fainthearted — and once over the threshold, there is rarely any going back. And as some of its former denizens have found, membership can cost more than money can buy. Yet when China's Communist Party gave the nod to Xi's term-free rule of the nation, with it came the dubious honor of admission to Autocrats Anonymous. NORFOLK, Va. (AP) — A new exhibit at a Virginia art museum will explore the work of propaganda artists during China's tumultuous Cultural Revolution in the 1960s and 1970s. The Chrysler Museum of Art in Norfolk said in a statement that the show begins Friday and runs through June 24. The exhibit will display the collection of Shaomin Li, an international business professor at Old Dominion University. BEIJING (AP) — For some Chinese, their feelings about plans to lift term limits to allow President Xi Jinping to rule indefinitely can be represented best by a cuddly stuffed bear. Social media users shared images of Winnie the Pooh hugging a jar of honey along with the quote, "Find the thing you love and stick with it." The Disney bear's image has often been compared to Xi, prompting periodic blocks on the use of Pooh pictures online. BEIJING (AP) — China's ruling Communist Party's proposed scrapping of a limit on presidential terms is upending three decades of efforts to restrict how long top leaders can hold office and setting the stage for party chief Xi Jinping to remain head of state indefinitely. BEIJING (AP) — China's ruling Communist Party has proposed scrapping term limits for the country's president, the official news agency said, appearing to lay the groundwork for party leader Xi Jinping to rule as president beyond 2023. The party's Central Committee proposed to remove from the constitution the expression that China's president and vice president "shall serve no more than two consecutive terms," the Xinhua News Agency said Sunday. China has started the process to scrap term limits for the country's highest office and allow Communist Party leader Xi Jinping to rule as president beyond 2023, the official news agency said Sunday. BEIJING (AP) — China plans to select 5,000 movie theaters to screen propaganda films and will boost their box office with group sales, discounted tickets and other financial backing. The notice from the nation's film regulator said the policy is intended to promote specific movies at special times to create a "people's theater front," a throwback to language used during the era of Mao Zedong. Last month in Shanghai, Chinese venture capitalist Eric X. Li made a provocative suggestion. 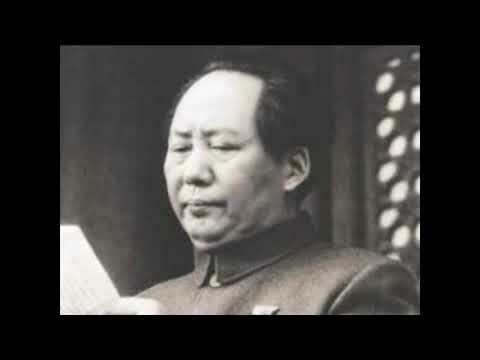 For those unfamiliar, Mao Zedong’s Cultural Revolution (1966-1976) was a traumatic period of political upheaval, ostensibly intended to cleanse the People’s Republic of impure and bourgeois elements. 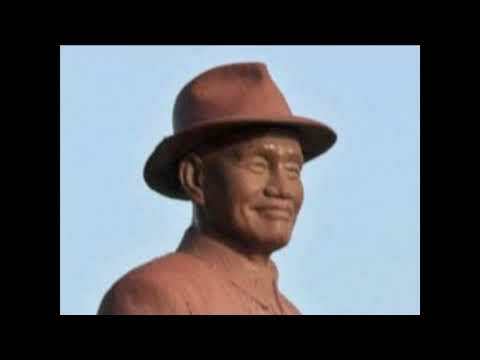 BEIJING (AP) — The village where he labored as a teen has become a shrine, a tree he planted an icon. State media applaud him endlessly, private businessmen praise his speeches and universities are devoting new departments to his theories. At the start of his second five-year term as leader of China's ruling Communist Party, Xi Jinping is at the center of China's most colorful efforts to build a cult of personality since the death of the founder of the People's Republic, Mao Zedong, in 1976. BEIJING (AP) — President Xi Jinping has promised to open China's economy wider during a meeting with American business leaders ahead of a visit by U.S. President Donald Trump amid trade tensions. Xi spoke Monday to members of an advisory board to Beijing's Tsinghua University business school that included Apple CEO Tim Cook, Facebook CEO Mark Zuckerberg and Blackstone Group chairman Stephen Schwarzman. BEIJING (AP) — Chinese President Xi Jinping has promoted an ally to the top job in Shanghai, media reported Sunday. The elevation of Li Qiang is another sign of Xi's increasing control over China. Xi has amassed more personal power — and propaganda backing — than any leader since Mao Zedong in the 1970s, breaking with two decades of shared authority among a group of senior party figures. BEIJING (AP) — Newspapers, TV and magazines were dominated Thursday by images of President Xi Jinping, reinforcing his public image as China's most powerful leader in decades following a Communist Party congress. To the Chinese president's growing array of titles, the ruling Communist Party says Xi Jinping can add important Marxist thinker. The party on Thursday praised Xi's contribution to ideology, adding to intense propaganda promoting his personal image as Xi begins a second five-year term as leader. BEIJING - China's Communist Party formally elevated President Xi Jinping to the same status as party legends Mao Zedong and Deng Xiaoping on Tuesday, writing his name into its constitution and setting up the nation's leader for an extended stay in power. BEIJING (AP) — The ruling Communist Party on Tuesday formally lifted Xi Jinping's status to China's most powerful ruler in decades, setting the stage for the authoritarian leader to tighten his grip over the country while pursuing an increasingly muscular foreign policy and military expansion.